Dealer Mike Shaw's changes during the recession, including making online sales the cornerstone of his marketing strategy, are still paying off today. It was 2007, the recession was closing in and Mike Shaw could see that the special phone numbers in his newspaper ads were generating neither calls nor sales. So he made a tough decision. He canceled the $1.5 million he spent each year on newspaper advertising for his six dealerships, doubled his annual Internet ad spending to $360,000, beefed up the Internet sales departments at all of his stores and made online sales the cornerstone of his marketing strategy. Those moves, plus cutting staff and adding a used-vehicle inventory management tool, helped Shaw ride out the recession and create efficiencies that are still paying off. In 2011, new-vehicle sales at the seven dealerships that now make up Mike Shaw Automotive in Denver jumped 45 percent from 2010 to 5,406. Meanwhile, sales of used vehicles climbed 59 percent from 2010 to 6,370. The sales gains are continuing this year. Shaw says his new- and used-vehicle sales through March rose 30 percent from the first quarter of 2011. Profits for the quarter were up more than 30 percent. "The reason our new and used sales went up is because we're good, not great" at using the Internet, says Shaw, 65. "We've got a couple of stores that are close to being great. They are delivering 50 percent of their volume on the Internet." Shaw has been in the retail auto business since 1969. He owns seven dealerships that sell Buick, Chevrolet, GMC, Honda, Kia, Subaru and Toyota vehicles in Colorado, Louisiana and Texas. He sold Saabs until the automaker went out of business last year. The dealership group ranks No. 121 on the Automotive News list of the top 125 dealership groups in the United States, based on new-vehicle retail unit sales in 2011. In recognition of his dealership performance and community service, Shaw in February was named the 2012 Time Dealer of Year. The award is sponsored by Time magazine in association with Ally Financial and in cooperation with the National Automobile Dealers Association. Although the auto industry is on the upswing, Shaw clings to the lessons of the recession. In 2009, Shaw Automotive's new- and used-vehicle sales dropped 35 percent from 2007 levels, sending the organization into survival mode. Shaw reduced his employee head count through attrition and layoffs to 350 in January 2009 from 650 in September 2008. "I've been through tough times before so we moved very fast," Shaw recalls. "We cut advertising. We cut personnel. You name it, we cut it to survive." One thing he added in 2009 was the vAuto Inc. used-vehicle inventory management tool. He wanted to make sure he was stocking the right used vehicles in each market and pricing them correctly, so he made the tool optional for his general managers. In 2011, he implemented the tool companywide. As business improved, Shaw gradually added about 50 salespeople, managers and service advisers, all of whom are paid 100 percent on commission. But of all the changes, Shaw says his Internet strategy has made the biggest difference. His dealerships have had Internet departments since the early 2000s, but in the beginning, they were not very robust. "We started out like most people, just taking some salesmen and saying, 'You're in the Internet department now; start taking care of this,'" says Scott James, president of the group. But as the economy faltered, Shaw's floor traffic slowed and Internet leads began generating a larger share of sales. In 2007, Shaw began making changes. He started by nixing newspaper advertising. At the time, he was listing all used-vehicle inventory on third-party Internet sites but not all new vehicles. So the group also listed every new vehicle, Shaw says. Additionally, the group doubled the number of photos accompanying each vehicle listing to about 40. He gradually began beefing up his stores' Internet departments, staffing each --depending on dealership size -- with three to six salespeople. He armed them with written scripts to make sure they gathered key information from prospects such as their family size, annual miles driven and whether they planned to trade in a vehicle. Internet salespeople were trained to respond to e-mails and telephone queries within an hour; managers followed up to set in-dealership appointments. When the prospects arrived at the stores, Internet salespeople handled the sales. Each Internet salesperson was expected to handle 100 to 120 leads per month. Since then, Shaw's Internet targeted response time has narrowed to 15 minutes and each Internet salesperson is expected to handle as many as 80 leads per month. Because so many leads enter the dealerships electronically, salespeople clamor to work in the Internet departments, where the best salespeople occupy most of the slots, he says. Says James: "As it's grown and become so much more relevant, now a guy doesn't want to be on the floor any more just waiting on customers. The place to be is in the Internet department." Over the past year, the departments at three dealerships evolved into smaller, three-person operations, with the staffers handling at least 150 leads a month, scheduling appointments and following up with customers. They do not handle in-store sales. Other salespeople sell to customers once the shoppers come in the door. James says the three-person setup works because it is easier to train a smaller group to become top-notch at what it does. "Since they are not selling, it frees up a lot of their time to concentrate on follow-up, which is a key ingredient to Internet success," James says. "We don't have a definite timetable on converting the other stores yet. All the stores are evaluated every month." In March, Shaw hired a videographer to add videos to Internet vehicle listings. Last year, Shaw's dealerships converted about 8 to 10 percent of their Internet leads into sales. But the conversion rate at Mike Shaw Toyota in Corpus Christi, Texas, which has the newer three-person Internet department, was almost 15 percent, the group's best. Shaw's goal is to raise all of his dealerships' conversion rates to at least 12 percent. 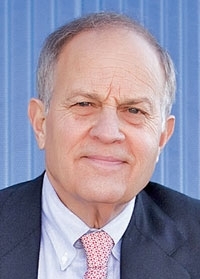 Shaw, a native of Weslaco, Texas, about 35 miles northwest of Brownsville in the southern tip of the state, entered the retail auto industry in 1969 when he went to work at his cousin's Buick dealership in Beaumont, Texas, first as a service writer and eventually as owner relations manager. That's where "I fell in love with the car business," he says. In 1994, Shaw, who is of Hispanic descent, became the owner of Mike Shaw Chevrolet-Buick-Saab through the General Motors minority dealer program. By 2010 he had added his other dealerships. Shaw says leads and sales generated by the Internet are no different from the way dealers have sold vehicles for years. It's all about finding out what the customer needs and taking care of those needs. "It's nothing more than how we used to sell cars on the phone, with 3-by-5 cards and follow-up," he says. "The only difference is it's done electronically."